Silver Girl is a story of friendship, love, and forgiveness. Meredith Martin Delinn has lost everything because of her husband, Freddy, who was running a multi-billion dollar scheme that has been discovered by the FEDS. When Meredith goes under investigation for her possible involvement, she must turn to her old best friend, Constance Flute, who has been dealing with her own losses. Together, the two friends must reconnect and help strengthen each other through the biggest trial of their lives. 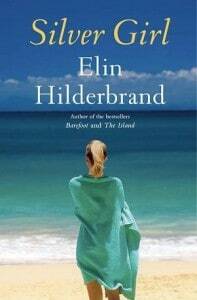 This is my first experience with Elin Hilderbrand and it won’t be my last. This book was amazing. Elin truly has a way with capturing the things that cause people the most pain. As I read, I ached for both Meredith and Connie. I was driven to read on in the hope that everything would be resolved. I wanted Meredith to be cleared with the FBI, to admit that her husband was a creep. I wanted Connie to admit that it was okay to love again and to finally receive her phone call from her estranged daughter. I wanted them to be happy. I have been blessed in my life. I have never had to experience the kind of pain that these women had to go through, yet I could almost empathize with them. Elin keeps the reader guessing, delivering little bits of information that help piece together how their lives came to be the way they were without painting the entire picture. I loved this. I also loved that she would jump from one perspective from the other, but in a very clear way. The chapters were marked with which woman the perspective would be from for the duration and each character had such a distinct voice it would have been impossible to confuse the two. My favorite thing about this book was the message of friendship. It didn’t matter that they hadn’t talked in three years. It didn’t matter that they had said horrible things to each other the last time they spoke. The only thing that mattered was they were old friends that needed each other. It is a great example to me of what a true friend is. My only complaint was the amount of swearing, specifically the use of the ‘f’ word. Though, they were appropriate to the scene. It was never used haphazardly, which made it tolerable for me to read. Elin clearly loves Nantucket. She paints it beautifully. I’ve never been, but I could see the beautiful beaches and the towns. Nantucket was never on my list of places to go before I die, but it has just been added to the list. I look forward to reading her previous novels, I know they won’t disappoint. Kimmel is a stay at home mom of two little girls. She moves all over the place as the wife of a United States Airman. She is an aspiring author who loves to write, read, watch movies, and bake delicious things! Looks like a good read! I have some of her other books sitting on my bedside table still waiting to be read. I’m hoping to get them finished by end of summer. My summer reading list is huge!